As much as I hammer the current administration, it is good to remember that it wasn't too long ago that I was pointing my criticisms at the previous occupant of the oval office. Politico has a must read, an exceptional article by Josh Meyer; The secret backstory of how Obama let Hezbollah off the hook - An ambitious U.S. task force targeting Hezbollah's billion-dollar criminal enterprise ran headlong into the White House's desire for a nuclear deal with Iran. This article reconfirms all the sneaking suspicions I had about the Iran deal. A very thorough piece, I look forward to hearing the reactions and supposed justifications from principals like John Brennan, Ben Rhodes and Wendy Sherman, not to mention Obama himself. CIA Director Brennan had long been in favor of a rapprochement with Hezbollah, or a fantasy I should say, about promoting its "moderate" elements, which really sounds like Obamaism in a nutshell. It is mind boggling to think that our government would turn a blind eye to the skullduggery and machinations of a radical religious terrorist organization that has been responsible for so much killing and mayhem in order to make a nuclear deal with Iran. A group that was occasionally killing us with our own weapons and certainly using our money to do so. ... the Defense Department official, who was at Special Operations Command tracking the money used to provide ragtag Iraqi Shiite militias with sophisticated weapons for use against U.S. troops, including the new and lethal IED known as the “Explosively Formed Penetrator.” The armor-piercing charges were so powerful that they were ripping M1 Abrams tanks in half. Imagine funding an organization that was complicit in the murder of United States citizens and soldiers. And was apparently a major player in funneling cocaine shipments into the United States from South America. I wrote repeatedly about Obama turning a blind eye to Iranian, Shia and Hezbollah wrongdoing while simultaneously castigating Israel and the Saudis. Looks like I was probably right. Read the article. 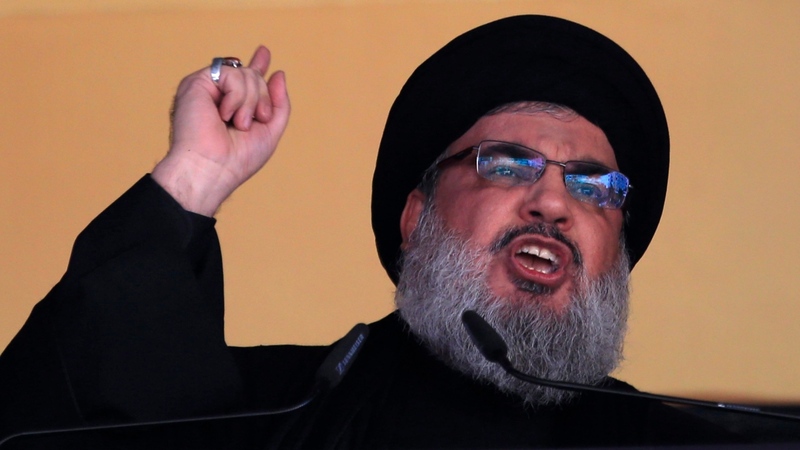 Postscript: Interesting perspective on the Hezbollah question from Israel. A leading General, Nuriel, is doubtful that Obama pulled his punches. Worth reading.